This is a great weekend to be in Raleigh, North Carolina. Forget about the BBQ. Instead, head to the annual NICAR (National Institute for Computer-Assisted Reporting) confab at the Raleigh Marriott City Center. Or if it's too far or too late to go, then go to Twitter and do a search for the hashtag #NICAR11. Many, many attendees are doing a great job of tracking multiple presentations and hands-on workshops and then posting wonderful links to PowerPoint slides, Tipsheets (often being shared via Google Docs) and the debate about which is really the best style BBQ. The reason we are calling this a “watershed” is that I have attended these for nearly 15+ years, and I've never seen such a wonderful compote of traditional journalists PLUS digital-savvy folks coming in from non-journalism backgrounds. This is the only way journalism — aggressive, watchdog journalism — can be saved. Thanks to all for your investments in time, money and generous sharing. Census tract data and maps, while better than nothing, can often deceive because the size of the tract is greatly influenced by population size, not area. It is not uncommon that natural and constructed barriers — mountains or freeways — influence the movements and spatial demographics of a tract. Ah, but BLOCK data, now there is some fine, fine-grained data that we can use to extract insights and meaning. Once again, Flowingdata.com tips us off to a good visualization of population data and the resulting maps. 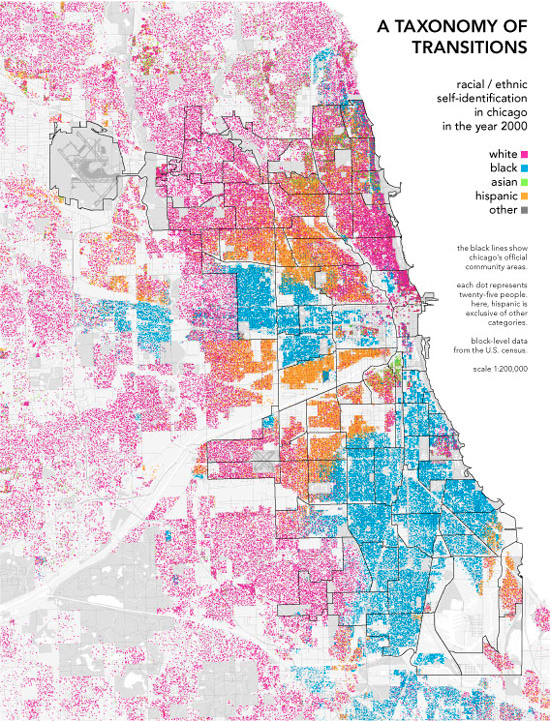 Instead of breaking up demographics by defined boundaries, Bill Rankin uses dots to show the more subtle changes across neighborhoods in a map of Chicago using block-specific data US Census. 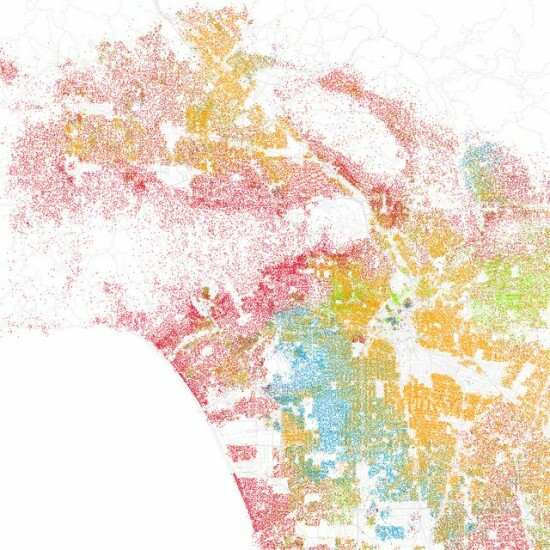 Any city-dweller knows that most neighborhoods don't have stark boundaries. Yet on maps, neighborhoods are almost always drawn as perfectly bounded areas, miniature territorial states of ethnicity or class. This is especially true for Chicago, where the delimitation of Chicago's official “community areas” in the 1920s was one of the hallmarks of the famous Chicago School of urban sociology. Each dot represents 25 people of the map color's corresponding ethnicity. Eric Fischer takes the next step and applies the same method to forty major cities. Here are the maps for Los Angeles, San Francisco, and New York, respectively. Same color-coding applies. You definitely see the separation, but zoom and you much more subtle transitions. “The Bolivian Express, an English language magazine in La Paz, Bolivia, set up by Bolivian graduates in collaboration with students from around the world. We are a subsidiary of the Grupo Express Press, which publishes another magazine in Bolivia, Revista Metro (http://www.metrobolivia.com/metro/default.asp). We would love if you could include us in your database of journalism internships and feature us on your website (http://journalism.nyu.edu/careerservices/internships/postintern.html). “The Bolivian Express has just started an ongoing journalism internship program in Bolivia where interns take Spanish classes, journalism classes, photography classes and cinematography classes. Participants are paired with Bolivians in La Paz and are then expected to explore Bolivian culture, eventually producing four pages of content for our magazine each month. This content is then passed to our editors who offer feedback, helping to improve our intern's writing skills. Due to the large numbers of classes offered our internship is perfect for students with a strong passion for learning. “Our magazine is distributed on the ground, in the skies and, within the next week, online. Get coordinates, print maps, and more! … What could I use this for? Create a map – Copy directly from spreadsheet program such as Excel, Numbers, or the free Google Docs or OpenOffice Calc. Distance Calculator – Calculate the distance in miles or kilometers to several locations from a single address. Satellite Photos – Addresses are linked to Google Maps for satellite photos and driving directions. Make your own Google Earth KML – Quickly create KML files with your address data for 3D viewing data in Google Earth. Get postal codes / zip codes – Retrieve postal or zip codes for a given address internationally. Print a map – Make a printable map with your addresses on it. 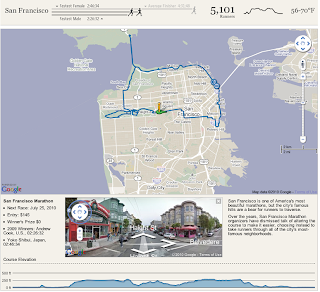 Save a map – Create a map with your locations and associated data to a web page for later use. Create a store locator – Map your store properties, and then link to them from your website. Get center coordinates (centroids) for a listing of zip codes, cities, or states.